Welcome to the Science Fiction Romance Brigade’s showcase. Once a month the brigade’s authors highlight snippets from new work, WIPs, cover reveals or other fun things. 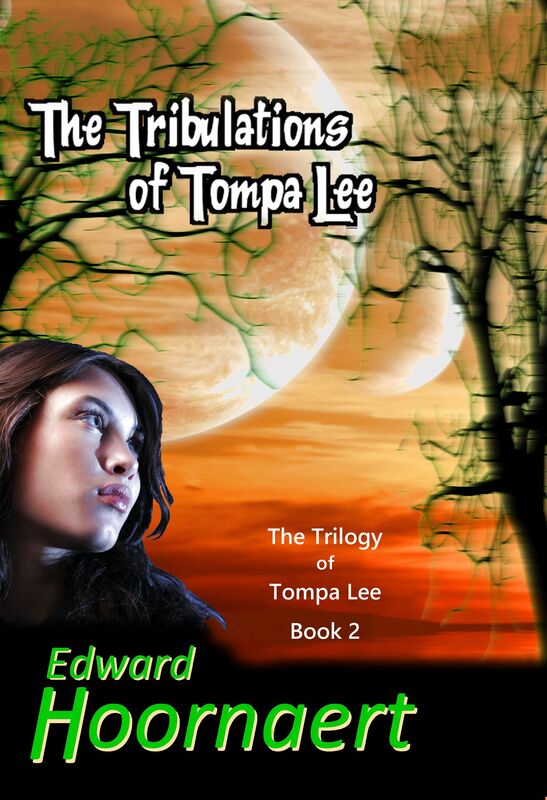 The Tribulations of Tompa Lee is part of The Trilogy of Tompa Lee. Below at right is the old cover. Tompa Lee serves as (very eccentric) ambassador to the Shons’ planet and is hailed as their goddess. She’s paranoid about fellow humans and has a dead man living in her head — and yet when the Klicks, mankind’s greatest enemy, destroy the embassy, a ragtag group of Shon and human survivors expect her to save them. Be sure to check out the posts by the members of the SFR Brigade. Cool cover. Love the colors and the way the tree branches decorate the moons. Thanks. I’ve realized belatedly that I never finished this post. Grr! I wondered why the post was so short, Ed. LOL Th cover is great. So is the blurb. Thanks, Diane. I guess I’m getting to that forgetful age. Actually, I think I’ve been that age since I was 16.